Other than alcohol, speed is the biggest factor contributing to fatal traffic crashes in our country. Yet speeding happens every day on our community streets and we accept it as the norm. In our last article, we told you how speed impacts the safety and quality of life of our communities. Pedestrians (already the most vulnerable users of our streets) carry the biggest risk. And that risk is increasing. 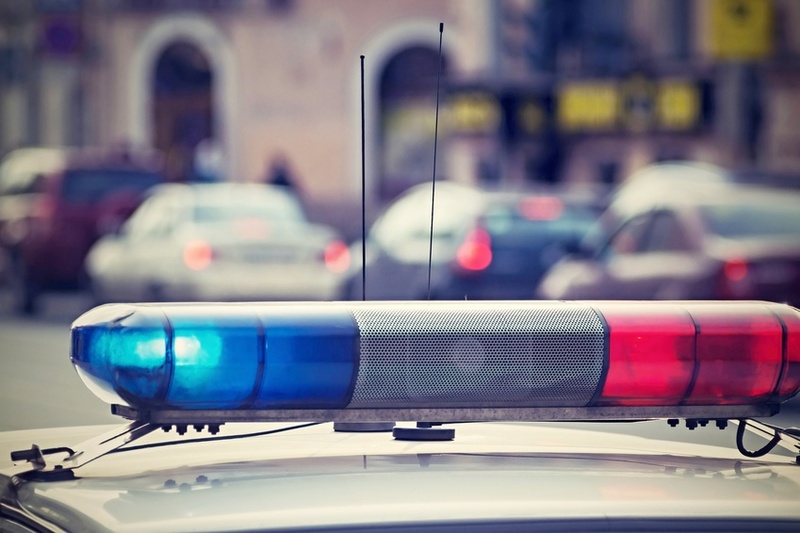 The Governors Highway Safety Association projects the largest year-to-year increase in pedestrian fatalities since it started tracking data in 1975. When a pedestrian or cyclist is struck by a vehicle, the slower the vehicle speed, the better the chance of survival. Once that speed hits 25 mph, the risk to the pedestrian increases sharply. A study by the AAA Foundation for Traffic Safety found that the medium impact speed for pedestrian fatalities is 35 mph. Not pedestrian injuries; but pedestrian fatalities. Again, 35 mph is above the threshold for what our bodies can take. So slowing traffic speed on our shared community streets—the streets that we live, work, shop and play along—can mean the difference between life and death. Perhaps the most effective way we can reduce excessive speed on our roadways is to make physical changes to the street that force drivers to slow down and remain alert. In addition to narrowing lanes and installing speed cushions and bump-outs, towns across the country have also been lowering their speed limits to help improve safety. Some are doing it on an ad hoc basis; others have lowered the overall default limit. Will Rochester Lower the Limit? 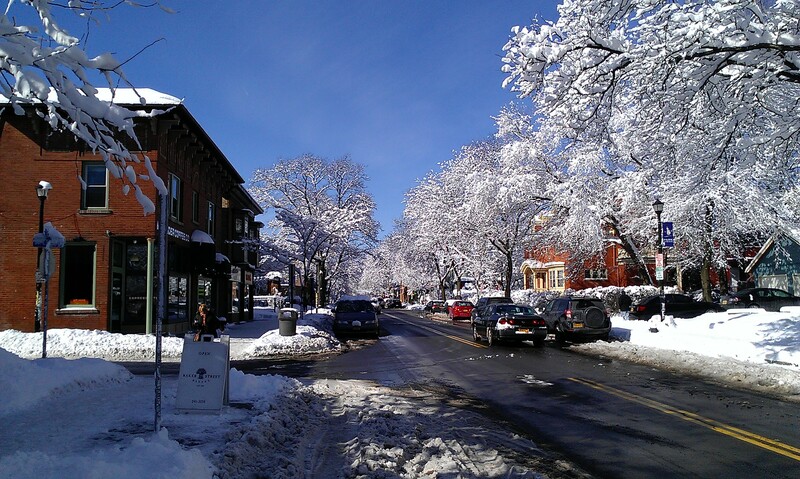 In the City of Rochester, there is increased public interest in lowering traffic speeds, particularly on residential streets. Rather than reducing speed limits on a street-by-street basis as requests come up, it is much more cost effective to change the city speed limit as a whole. The current limit is set by New York State Vehicle & Traffic Law. And, like New York City, the City of Rochester plans to seek approval from the State Legislature to change its default speed limit to 25 mph. 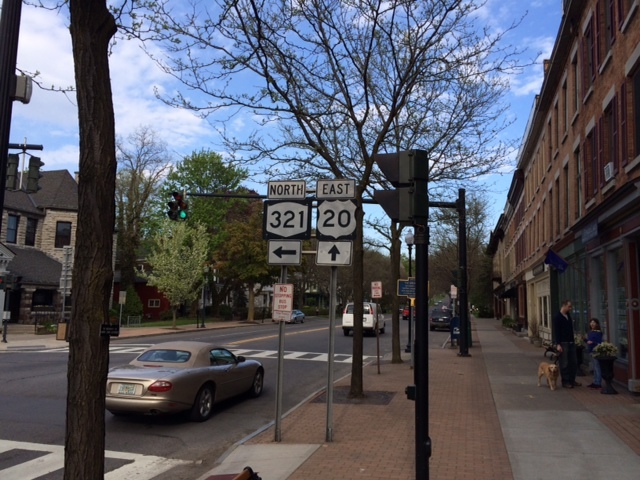 The Village of Pittsford, which has been plagued with speeding traffic since the NYSDOT widened its roads in the 1980s, is also seeking state approval to lower its default speed limit. 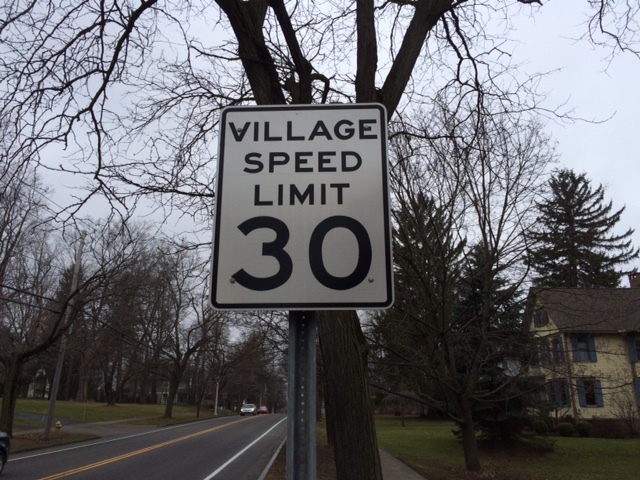 “The Village Board has requested that Senator Rich Funke introduce a bill in the State legislature reducing the [Pittsford] village-wide speed limit from 30 to 25 miles per hour,” said Mayor Robert Corby. If approved, the new speed limit would apply to State and Village streets. Lowering speed limits alone won’t prevent these tragic crashes from occurring. It’s going to take a combination of things (better street design, education, enforcement, etc.) to begin to change the culture of how we use our streets. Whether we’re in a motor vehicle, on a bike, or on foot, we need to always remind ourselves that when it comes to creating safer streets and more vibrant communities, we need to be part of the solution. There’s a great imbalance between a 2,000 lb. vehicle and a pedestrian. So take it slow out there. The life you save might be your own, or that of someone you love. The fact that there is such a huge difference between the impact 25 mph versus 30 mph can have on the likelihood that a pedestrian or cyclist would survive a car crash should be enough to convince communities that streets designed for speed only are a detriment to our quality of life. We already have places where drivers can drive super fast and don’t have to look out for cyclists and pedestrians — highways. Our community streets should not be high speed roadways. I’ve lived on Gregory St for 30 years and we tried for years to get the speed reduced, however, they don’t consider it a residential street and turned us down for any speed control. When they reconstructed the road years ago they narrowed the egress off of Mt Hope and put in raised road at Ashland as traffic calming devices. They do little to reduce the speed. It is very frustrating.